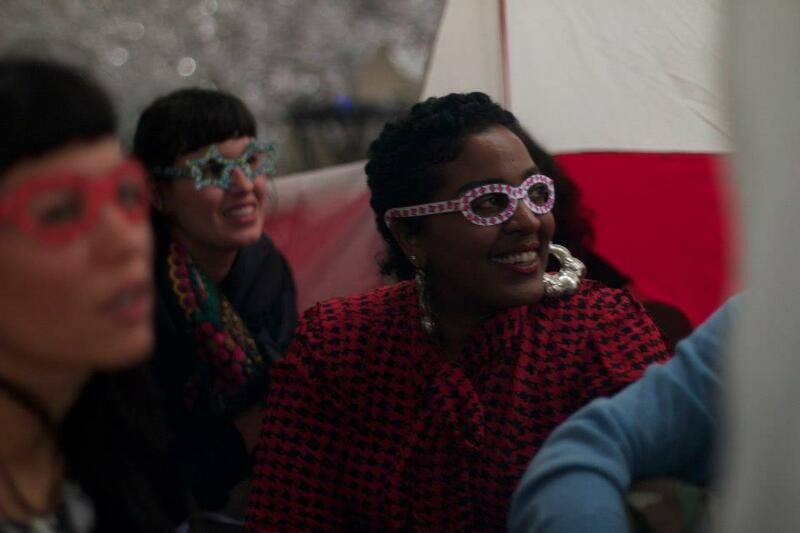 Ayesha Jordan is a multidisciplinary performance artist who often uses characters and stories to create indelible moments for cerebral and visceral experiences. Jordan’s characters each represent a facet of herself and act as a tool to playfully disguise herself and to uniquely connect with guests. Much of Jordan's work is about audience engagement, bringing participants as close to the work as possible – creating moments, tasks, and prompts allowing the opportunity to engage with the performer, as well as with fellow audience members. Some of her previous performance events include Shasta Geaux Pop, Come See My Double D's, Enter & Exit: Playing House, Enter & Exit: Family Reunion, Inter 1-to-1, and In the Tube. Other works include video projects Living Room Dance Breaks, Drunk & Famous, as well as a host of other songs and videos. Jordan has been seen as an actor in the Broadway production of Eclipsed by Danai Gurira and directed by Liesl Tommy, Home by Geoff Sobelle, Failure Sandwich and Ludic Proxy, by Aya Ogawa, Platonov: Or the Disinherited by Jay Scheib, and Stairway to Stardom and Harold I Hate You by Cakeface. She has also been featured in video work and photography by visual artist Carrie Mae Weems.